We offer programs on both Wednesday and Sunday nights for this age group. Both The River on Sundays, and Deeper on Wednesdays, challenges and encourages students to experience the presence and power of a relationship with God. Students are challenged, impacted and invited to experience and develop a personal relationship with God through high-energy, authentic worship, hearing from God’s Word, small discussion groups with peers, and one-on-one guidance from caring leaders. Grades 9 - 12 also meet on Wednesday evenings September thru April only. Here students have a chance to grow DEEPER in their ability to study God’s Word as it applies to their lives and what they are going through. Please contact Sam Dahl at 952-447-0541 or samd@friendshipmn.org for specific address information. Students spend five days together (over MEA in October) devoted to God. Great speakers, worship band, group discussion, team building games and a ton of fun. An opportunity for students in The River to get away together to grow in their faith and grow in relationships with each other. Pastor Rob is married to Cathy and they have three daughters. He has previously served at churches in both Colorado and Florida. He joined the Friendship staff in July 2016. Braveheart... I believe I sprout three more chest hairs whenever I watch this movie! Deep and Wide by Andy Stanley. It has great insight on what the church's approach should be as we reach the lost. Creating spaces for people to bump into Jesus! Paul... He lived his life on mission. He was a great leader that multiplied himself and had a faith I want! But I count my life of no value to myself, so that I may finish my course and the ministry I received from the Lord Jesus, to testify to the gospel of God's grace (Acts 20:24). 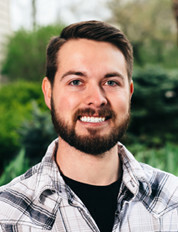 Josh is our Prior Lake Campus Flood Co-Director (grades 6 – 8). He is married to Amanda and they have two children. He has been attending Friendship since the day he was born (or the following Sunday) and became the Prior Lake Flood Director in 2010. Marrying my amazing wife Amanda, and the birth of our beautiful daughter. I love photography. Especially landscapes and being outdoors. Right here in Minnesota because I love all the different seasons. Yes, even winter! I would go to Hawaii, and travel all of the Hawaiian islands. Probably Daniel. I love how he stands firm in his faith even when threatened with being thrown into a den of lions. Philippians 4:6-7, God used this verse in my life to lead me out of a life that was controlled by anxiety. The entire Star Wars series - always have! I am a "Star Wars geek." Scrapbooking... I love preserving memories for generations. I would live in southern New Mexico. Every time I have driven through there, I am drawn to everything. It's beautiful. Especially the painted rocks. Ruth... she overcame her misfortune, kept her loyalty to Naomi, and was rewarded with a good life. She was David's great-grandmother. What has God been showing you lately that has surprised or delighted you? The more I give my stress and troubles to Him, the less stress and troubles I have. Five great days of summer camp that teaches students to Fully Rely on God through great themes, relationships and fun. Invite your friends for a crazy night of fun, food and games. Come enjoy indoor laser tag, an ultimate assault obstacle course, human bowling and more! Students prepare and present a week long curriculum for children ages 3 to 11 in neighborhoods throughout Scott County. An opportunity for students in the Flood to get away together to grow in their faith and grow in relationships with each other. An annual themed event giving students the opportunity to show their love and appreciation to parents. Always an enjoyable evening of food, fun and entertainment. The Student Ministry Interns will be picking the outdoor fun (weather permitting) and leading the Bible study that follows. Grab your friends and let the games begin. Students going into grades 11 and 12 meet for a Bible study, water fun and games. Equipping: The following items are areas of development and ministry that will be emphasized. Prayer and personal devotions will be emphasized at the beginning of the day. Book Reading - one book will be required reading throughout the summer either on missions, ministry, leadership or a devotional. Applicants will discuss these resources throughout the summer with the Youth Ministry Pastor. Further training will depend on the students background, interest and needs. One-on-one coaching – each intern will have a weekly meeting individually with the Youth Ministry Pastor to coach them in life and ministry. a. What is your testimony? b. What is your heart for ministry? c. Why do you want to serve at Friendship Church? Interested? Email Pastor Rob Rees or call 952-567-6464.